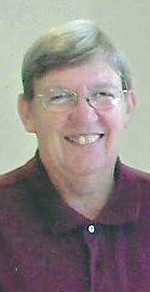 COURTLAND — LuAnn Aschenbrenner, age 62, of Courtland passed away Thursday, Feb. 7, 2019 at her home in rural Courtland. Mass of Christian Burial will be 11 a.m. on Tuesday, Feb. 12, at the Cathedral of the Holy Trinity in New Ulm. Burial will follow in the New Ulm Catholic Cemetery. Visitation will be from 4 to 7 p.m. on Monday, Feb. 11 at the Minnesota Valley Funeral Home – NORTH Chapel and will continue from 9:30 to 10:30 a.m.on Tuesday at the Funeral Home. To leave an online condolence for her family, or to sign the guestbook, go to: mvfh.org. LuAnn is survived her husband, Mark; their children, Adam (Melanie) Aschenbrenner, Myron Aschenbrenner and Cathy Aschenbrenner; 3 grandchildren; sisters, Lorraine (Lawrence) Seifert, Mary Jane (Everett) Sellner; brothers, Leonard (JoAnn Howk) Hauser Jr., LaVern (Teresa Mathiowetz) Hauser, John (Sharon) Hauser and many nieces and nephews. She was preceded in death by her parents and her brother Anthony Hauser. LuAnn Clara Hauser was born May 27, 1956 in Sleepy Eye to Leonard and Adelia (Zwach) Hauser. She graduated from St. Mary’s High School in Sleepy Eye in 1974. She married Mark Aschenbrenner on October 13, 1984 at St. Mary’s Church in Sleepy Eye. She worked for Dittrich Specialties, AUI, In Laws Food, McDonalds, Nicollet Mart and Hy-Vee. She enjoyed sewing, going on walks and camping. She loved to spend time with her family especially her grandchildren.